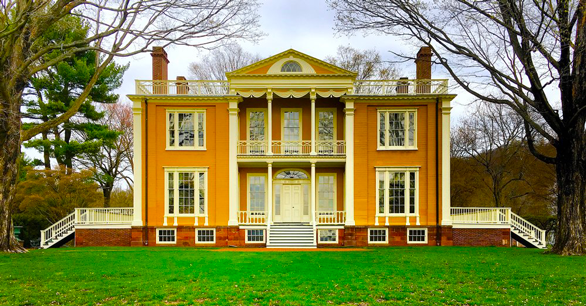 The Short Version: Boscobel House and Gardens in New York’s Hudson Valley dates back to 1804 and offers couples an interesting look at design, history, and nature. The house and grounds open in mid-April each year and give visitors a stunning view of the Hudson River. You can stroll hand in hand with your date along the woodland trail or through the beautiful rose garden, and you can admire the Neoclassical mansion— which was once in such disrepair that local people came together to preserve and restore its beauty for generations to come. Boscobel House and Gardens wasn’t always as serene and picturesque as visitors to the Hudson River Valley find it today. Back in the early 1900s, it was in a state of disrepair and located nearly 15 miles south of its current location — which is about 60 miles north of New York City in Garrison. 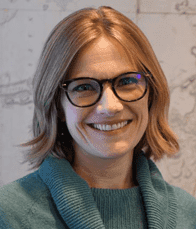 “Some of the archival photos make you wonder if the property was even structurally sound then!” jokes Lauren Daisley, Communications Manager at Boscobel. But because of the history of the husband and wife who owned the house, and the beauty of the residence itself, residents rallied to restore it to its original glory. The Boscobel House and Gardens have a rich history that dates back to the early 1800s. Today, the house is preserved and elegant, with a view from the garden that is one of the most romantic in New York’s Hudson River Valley. Open Wednesday through Monday all season long — starting April 15 and running through December — couples can enjoy an example of Federal-style architecture and one of the finest collections of the period’s furniture and decorative arts. Its breathtakingly beautiful gardens overlook the Hudson River, making a perfect backdrop for weddings, proposals, and dates. Tens of thousands of visitors stroll the grounds and home each year. Halfway through construction of Boscobel, States Dyckman fell ill and died, leaving the project to be completed by his wife. The Boscobel House was saved from demolition by local residents and restored to its former glory. Elizabeth decorated it handsomely, using pieces from designers and artisans in the New York area. She oversaw the farm, which was busy with chickens, pigs, cows, and sheep. It was robust and vibrant until Elizabeth Dyckman died in 1823, which was followed by the death of her 27-year-old son, Peter, a year later. Peter’s wife and daughter continued to live in the home for another 60 years until it was sold in 1888. After a succession of private owners, the Westchester County Parks Commission purchased the land in 1923 and sold it again in 1945 to the Veterans Administration to build a veterans hospital. When the government planned to raze the house — selling it to wreckers for a mere $35 — local citizens united to raise the funds needed for preservation. Lila Acheson Wallace, co-Founder of Reader’s Digest, stepped up in 1956 and donated the remaining money necessary to acquire the property in Garrison and restore the home beyond its original grandeur. The house was moved to its current location in 1956, restored, and opened to the public five years later. 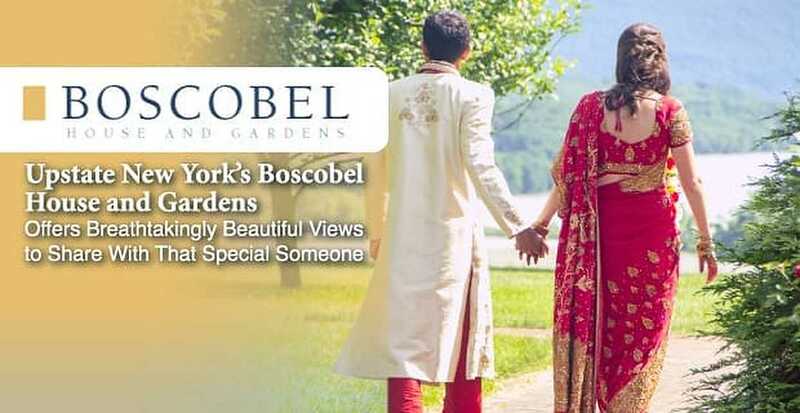 Today, many special events are held at the Boscobel House and Gardens that make for simple, romantic dates — and bring couples back to a quiet time of thoughtful conversation and laughter. If you’re there on a Saturday morning, start at the Cold Spring Farmers’ Market, held from May through October in the lower parking lot. Or save your appetite for the summer’s Ice Cream Social, which features live music out on the lawn between the house and the river. For a unique sunset experience, grab tickets to hear the 60-piece Greater Newburgh Symphony Orchestra on the Great Lawn in May. Or show an environmental passion at the Earth Day: Plant-A-Tree/Take-A-Tree celebration in late April. At the event, visitors can help plant a tree along the Frances Reese Woodland Trail that will grow for generations to come. For interior design and history-loving couples, don’t miss the Design Lecture Series. In a May session, Thomas Jayne discusses classic design that may even inspire home renovations. If you have children, you’ll enjoy time together with your little ones at the Bring the Kids! Second Saturdays, where Museum Educator Lisa DiMarzo helps families explore life in the past with hands-on chores, games, and crafts. The seasonal exhibition in the Historic House Museum are constantly changing alongside a permanent collection of early 19th-century decorative arts that offer a glimpse into life more than a century ago. Couples can take part in an expertly guided tour to learn more about the interesting history and lifestyle of the home’s occupants. The view of the Hudson River from Boscobel Gardens is breathtaking. Of course, wandering together through the garden is also a perfect setting to get to know one another or reconnect. The Great Lawn provides famous views of the Hudson River Valley, while the Herb Garden & Orangery, Apple Orchard, and Rose Garden give couples places to stop, talk, and smile. Be sure to enjoy the winding Woodland Trail, a 1.25-mile path that meanders through 29 acres of woods, peppered with gentle waterfalls and romantic benches. “There are beautiful views of the river from the trail and places to sit with privacy while still being in nature,” Lauren said. Weddings are also a frequent sight at Boscobel, since the landscape is so amazing. That may get some couples thinking about their special day as they stroll around the property, or it may inspire a proposal overlooking the Hudson River. Both the special and everyday events fit in perfectly on this estate. She gave an example of a correspondence that is part of the museum’s archive from the Dyckman family. In the letter, Elizabeth said she’ll need to stop writing during the winter from her bedroom desk because the ink was starting to freeze. A visit to Boscobel is just as surprising and provides a lot more warmth. “Any day you come, there is something beautiful, interesting, and surprising to see,” Lauren said.